The Macallan Fine & Rare Collection represents the very best of The Macallan’s oldest maturing stock and the greatest range of vintage single malt ever released. Every year the range is augmented by the introduction of a new vintage release. The full collection of vintages represent a liquid history of The Macallan, offering insights into the aroma and flavours characteristic of this great single malt stretching back to the earliest release distilled in 1926. Over the years, the Fine & Rare range has underpinned The Macallan as the world’s most valuable and collectable single malt whisky, dominating auctions around the world and setting world record prices, both at auction and private sale. Christie’s hosted the first spirits auction in New York since prohibition. 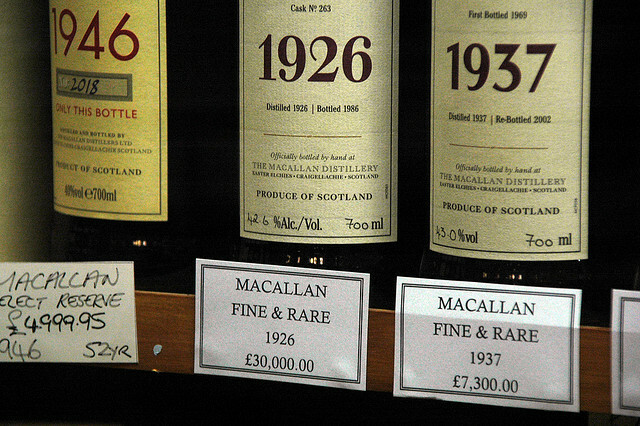 Some of the rare whiskies were expected to fetch up to $30,000 per bottle. Startlingly, a 1926 Macallan, bottled in 1986, went for US $54,000 and was announced as the most expensive bottle of Scotch ever sold by Christie’s anywhere in the world. 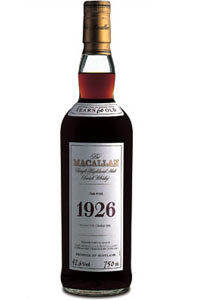 We have already talked about the expensive Macallan Fine and Rare collection. The bottle that spent 60 years in wood barrel was expected to go for between $20,000 and $30,000, but fetched a whopping US $54,000.